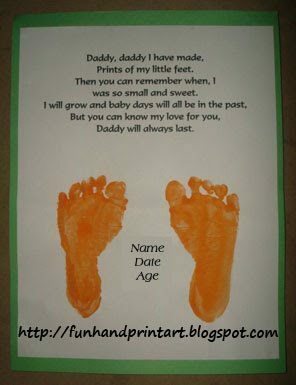 This footprint craft would make a great keepsake for dad! Print one of the poems found under the Poems-footprints label . 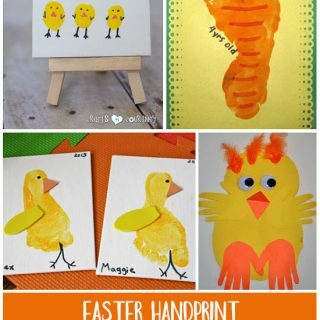 Glue it to a piece of construction paper or cardstock. Paint child’s foot in color of choice then press onto the paper. Repeat with other foot. Add the child’s name, age, & the date. Daddy will love getting this as a gift for Father’s Day, Christmas or his birthday! 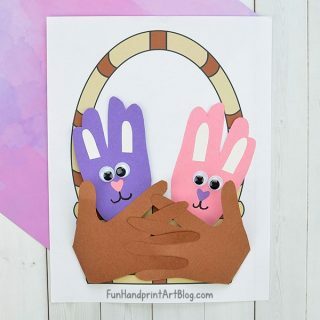 Keep in mind that if you would like to make this a keepsake that will last a long time and not turn brown eventually, use acid-free paints, paper, and glue. Variation: Place in an 8×10 picture frame.